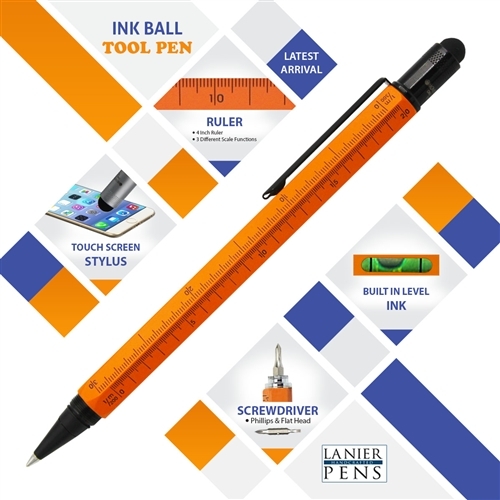 In a fast paced world, having the right tools at hand is crucial, and the Monteverde Inkball Tool Pen brings 9 tools in one premium quality writing instrument! 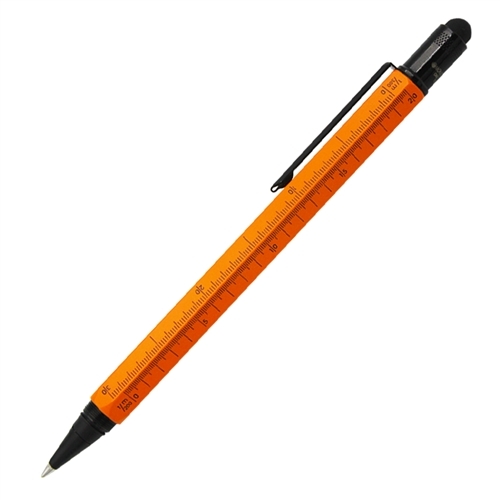 The heavy weight, 6-sided barrel houses our smooth writing Inkball Pen at one end and an ultra sensitive touch screen stylus at the other. 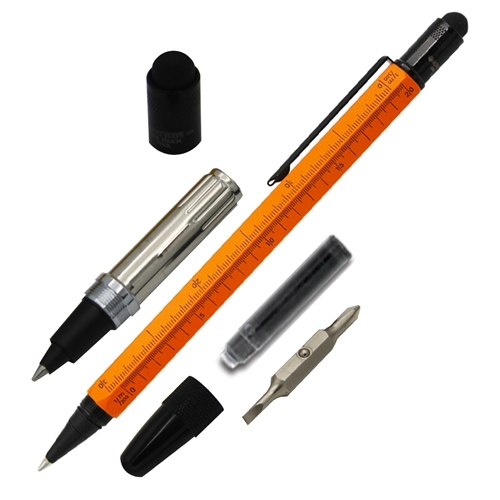 Under the stylus top are phillips and flathead screwdrivers, while on the barrel are a built in level, ruler and 3 different scale functions. The chiseled spring clip will hold the Tool Pen securely in your pocket, ready to handle more jobs than any other pen! Electrostatic rubber stylus tip, for touch-screen devices.